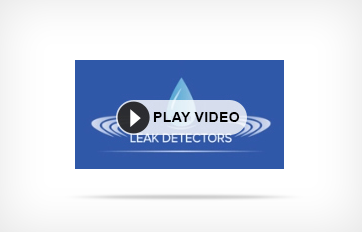 Leak detection companies in the past used various methods with regard to detection of gas leaks. However, in this day and age, companies have grown smarter and use less of halogen or ammonia for leak detection, and apply Helium Tracer Gas Detection. Helium as a gas is the most preferred around, since it is very sensitive and superior by nature, thus very helpful in tracing gas leaks. Helium has a huge mass spectrometer, which helps detect the leaks soon and ensures that the leaks are taken care off in time to avoid major catastrophes. 5. Small amounts are around in the atmosphere, and hence it produces a small hiss sound in tracking gas leaks. A mass spectrometer is used when leaks are to be detected using helium gas. The mass of leaked gas with the help of the mass spectrometer would be converted into electrical signals when detected. It is the ionized air which is put into the curved tubes that are immersed in the magnetic field. Through this tube only ions of helium would pass through, the rest would be destroyed. The ions of helium help in producing electric currents, which further helps in measuring the magnitude of the leak. Vacuum Test: Here the suspicious leaking area would be placed in a chamber where a vacuum is made. A pump pressure would be created using helium that would help measure the magnitude of the leak, using the mass spectrometer. No operators are needed here and the test would show the leak magnitude across the region. Sniffer Test: Here the suspected area would be pressurized using helium, and a sniffer would be fitted on the mass spectrometer. The mass spectrometer then would be taken around to check for more leaks. One can get this done automatically or through manual means as well. Bombing Test: In this method, the sealed parts of movable bulbs and devices would be checked for leaks. It would be a very high pressurizing chamber that would be used for the test. When a leak is found in any area of the component, the noble gas would make its way inside the said device. The device would be then put into a chamber where a vacuum is created, and this would release the helium. However, this method of Helium Leak Detection is unfit for small leaks. This entry was posted in Tracer Gas Detection and tagged Gas Leak, Helium Leak, Tracer Gas. Bookmark the permalink.